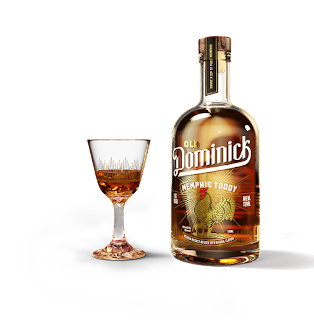 In a nod to rollicking pre-Prohibition Memphis, we give you Domenico Canale's long-lost Memphis Toddy. 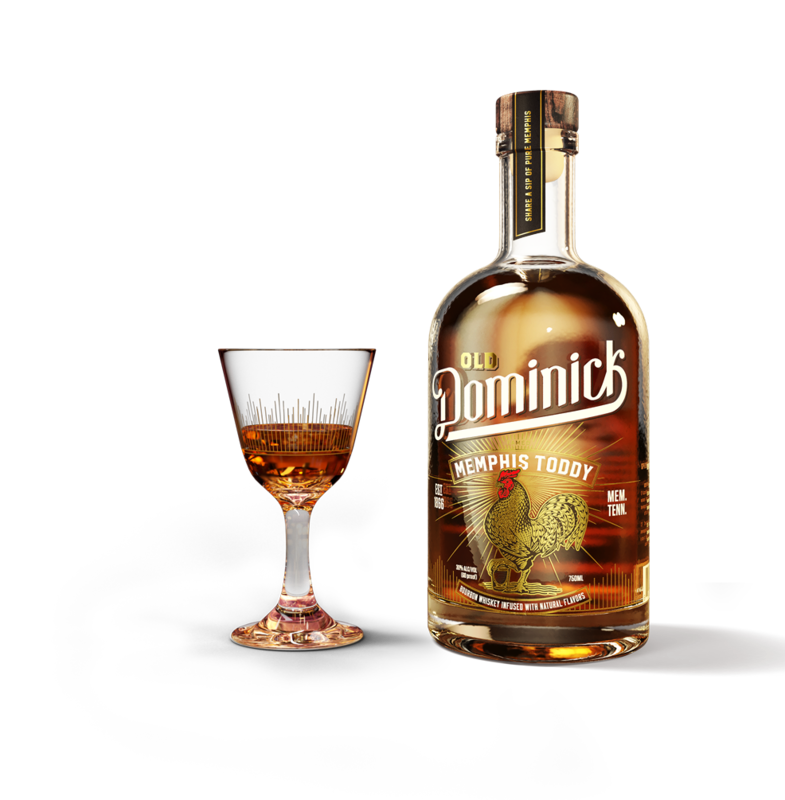 Reborn from our family recipe, the Memphis Toddy blends high-rye bourbon with a curated array of natural ingredients. 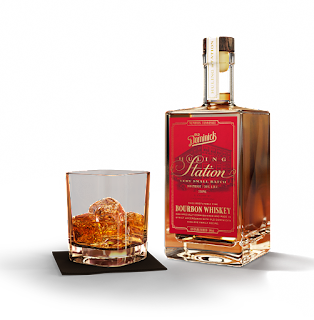 Subtle notes of citrus, botanicals, and honey coalesce into what can be described as "southern infused". Whether enjoyed neat, poured through cracked ice or as the highlight in an imaginative cocktail, it's the Memphis spirit that's made to be shared. In 1866, Domenico Canale's spirits business was booming. 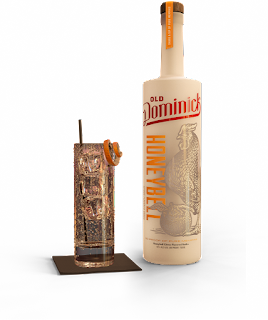 Rail cars bearing oak-aged whiskeys rolled out of the D. Canale & Co. warehouse at Huling station, and any bottle featuring the Old Dominick brand was known to be irrefutably fine, setting the bar for whiskey drinkers far and wide. Today, with the revival of Old Dominick, Domenico's great great grandsons Chris and Alex Canale are continuing the tradition. 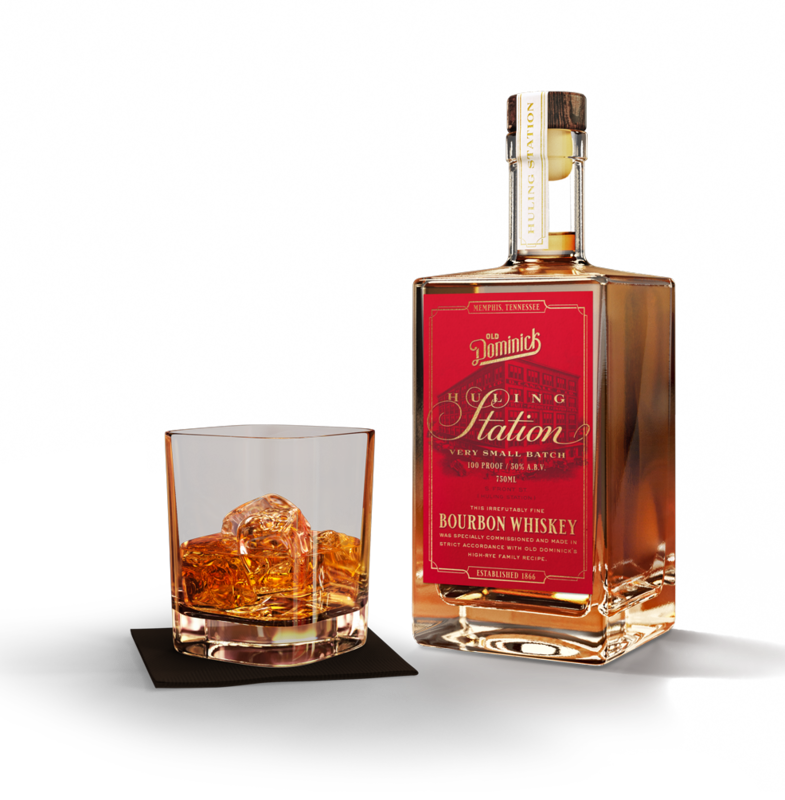 Old Dominick Huling Station is an homage to the whiskeys of 1866 Memphis, with a high-rye mash bill reminiscent of those offered by Domenico Canale in his heyday. We're sure you'll agree that this very small batch bourbon whiskey will set the bar today just like the barrels that rolled into Huling Station did over 150 years ago. Our ambitious pursuit of vodka possessing uncompromising character originates from Domenico Canale's passion for sharing fine spirits made from the choices ingredients. 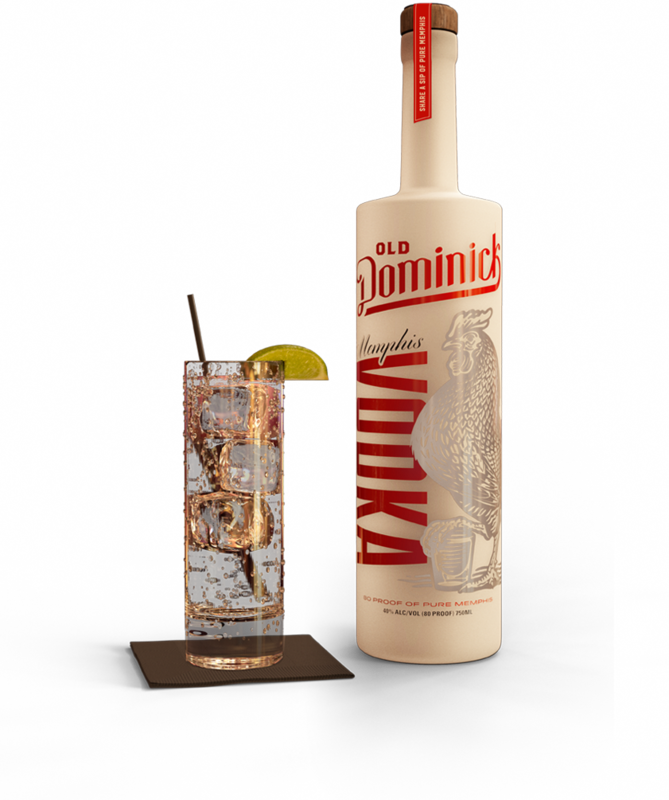 Whether classically unadorned or infused with southern inspired botanicals and fruits, our Memphis vodka can be enjoyed neat, on the rocks or as the illuminating base of a mixed drink. No matter how you enjoy, our Memphis Vodka is 80 proof Pure Memphis. 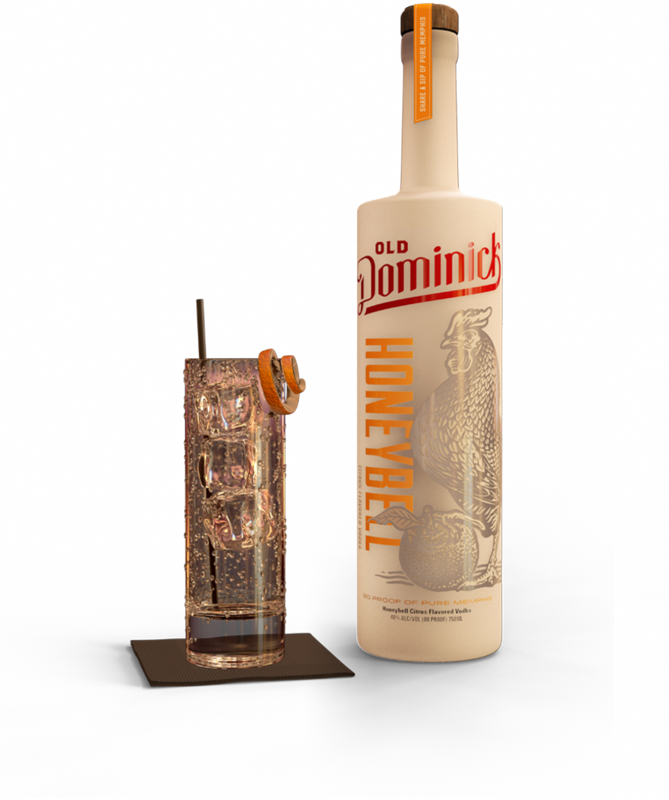 Our Honeybell Citrus flavored Vodka captures the fragrant sweetness of the Honeybell's luscious juice, as well as the distinctive bitters of its deep orange zest. Our exquisite Honeyball Citrus flavored Vodka is 80 proof and one hundred percent Pure Memphis.